The 2016 Honda Pilot is in stock here at Brilliance Honda of Crystal Lake for drivers throughout Elgin, IL and the greater Chicago area. The Pilot Touring is the second from the top of the lineup, with only the Elite model situated above it. That means that the Touring is loaded with top-notch features and options. Read on to find out more about this exciting model! 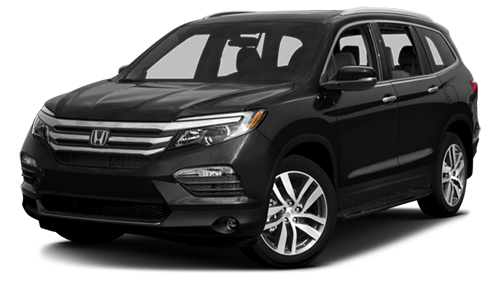 The 2016 Honda Pilot gets a direct injection 3.5L V6 good for 280 hp and 262 lb-ft of torque, and the Pilot Touring includes a nine-speed automatic transmission and a start-stop system to help save fuel. This helps the Pilot achieve up to 20 mpg city/27 mpg highway* based on EPA estimates with front-wheel drive. The 2016 Honda Pilot Touring comes with all of the safety features included in the rest of the Pilot lineup, but in addition, the Touring makes the Honda Sensing system standard. This feature adds adaptive cruise control, a lane departure warning and prevention system, and a front collision warning and prevention system. You can find the latest 2016 Honda Pilot Touring along with the rest of the Pilot lineup, here at Brilliance Honda of Crystal Lake, the leading Elgin area Honda dealership. We’re located at 680 W. Terra Cotta Ave. in Crystal Lake, IL, so visit us if you want to get behind the wheel of the latest Honda Pilot!